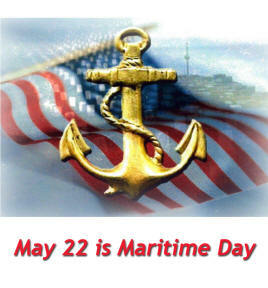 The Congress has designated May 22 of each year as "National Maritime Day". The Merchant Marine took up arms alongside the Continental Navy to help defeat the British Navy during the American Revolution. Since then, they have served bravely as the United States has faced threats ranging from war to piracy, and our seafaring fleet has proven instrumental in protecting our safety. In times of conflict and crisis, the Armed Forces rely on the Merchant Marine's sealift capability to transport critical equipment and supplies. Time and again, mariners have demonstrated their willingness and ability to meet daunting challenges. During World War II more than 250,000 members of the American Merchant Marine served their country, with more than 6700 giving their lives, hundreds being detained as prisoners of war and more than 800 ships being sunk or damaged. 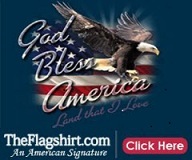 The men and women of the U.S. Merchant Marine and the many other workers who have supported the maritime industry have made significant contributions to our leadership in the global marketplace, and to our security. and chronicles our history as a maritime nation.